LONDON — The size of more than 2,500 different everyday items in the UK has decreased in the last five years, while prices have stayed the same or even risen, according to new research from the Office for National Statistics released on Monday. The trend, known as shrinkflation, has taken hold across UK consumer goods in past years. Major multinational companies have sold less of their product for the same price, helping to increase profit margins. It’s called shrinkflation because, while the product itself is shrunk, in most cases the price isn’t. The price is, in effect, inflated because you’re paying the same amount for less. Higher prices are more noticeable than shrinking packages, so run a great risk of making customers angry, making shrinkflation an attractive option. The trend has been widely reported in the media — Business Insider noticed that popular crisp brand Doritos was shrinking their packet by 10% in April — but until now there has been no solid data produced. 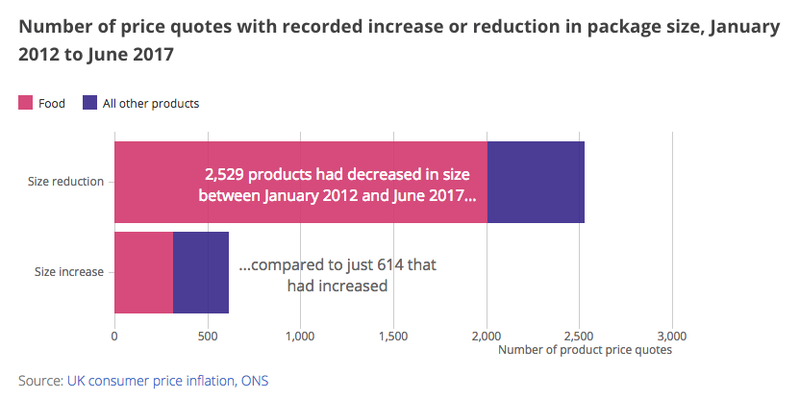 Britain’s statistical authority looked back through the data it collects when calculating the rate of consumer price inflation — essentially how fast prices for everyday items are rising — to find how many products have decreased in size. 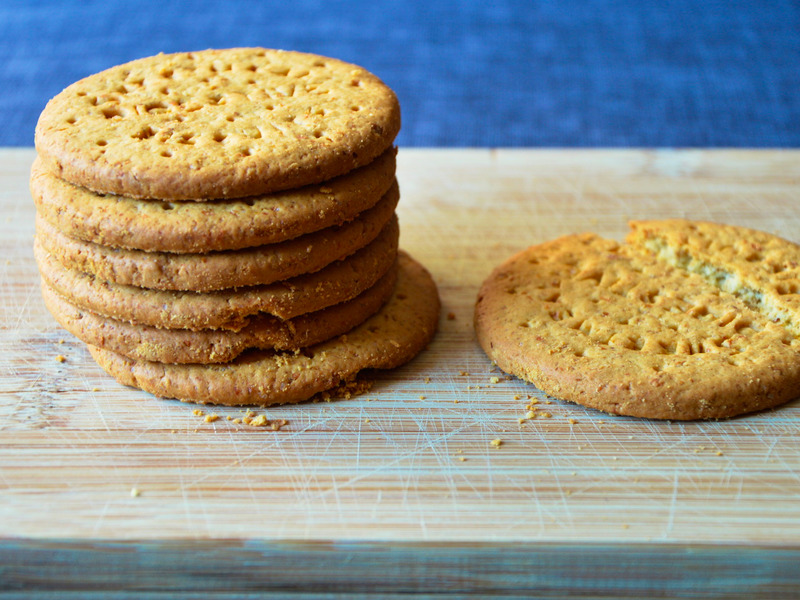 “As part of this process [calculating inflation], we look out for pack sizes changing so that we can make sure we’re comparing like with like,” the ONS said. 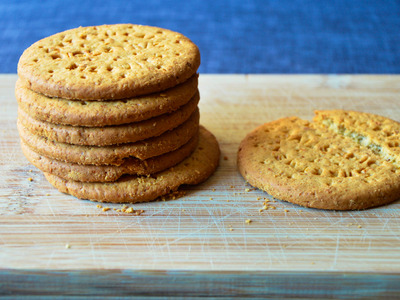 Biscuit maker McVities has decreased the size of a packet of its Dark Chocolate Digestives from 332 grams to just 300 grams, the equivalent of a 9.6% decrease. Andrex toilet paper. In 2016, consumer watchdog Which found that the size of a roll of Andrex had shrunk by 8%, dropping from 240 sheets per roll, to just 221. Perhaps most famously, Mondelez, the maker of Toblerone — the beloved last minute airport gift — has reduced the weight of its bars in the UK by roughly 10%, from 170 grams to 150 grams. Fluctuating prices make it harder for companies to plan ahead in terms of their supply chain. They tend to compensate for this phenomenon by either increasing their shop prices, or shrinking the size of the product. However, Brexit is not totally to blame. “Manufacturers’ costs may also be rising because of the recent fall in the value of the pound — leading some commentators to attribute shrinkflation to the UK’s decision to leave the European Union,” the ONS says.